Emory Eye Center is sad to announce the passing of Henry F. Edelhauser, PhD, former director of research for Emory Eye Center (1989-2013). He had been in failing health for several months and died late Wednesday evening, Dec. 2. Dr. Edelhauser was beloved by all, and his legacy will live on through his beloved family and close friends and the important work that he accomplished in the advancement of vision research. Dr. Edelhauser was the rare researcher who easily traversed between the worlds of clinicians and basic scientists with grace. He collaborated with MDs throughout his service at Emory to attain the highest level of translational research that could be of help to countless patients with vision loss. Through the years, he made lasting friendships with the many colleagues and collaborators he worked alongside as well as mentoring many young scientists. In 1989 incoming chairman Dr. Thomas Aaberg hired Dr. Edelhauser from the Medical College of Wisconsin to lead the small research program at the Emory Eye Center. In Milwaukee, Dr. Edelhauser rose from assistant, to associate and then to full professor. At Emory, he was the Sylvia Montag Ferst and Frank W. Ferst Professor of Ophthalmology and the Director of Ophthalmic Research. Upon his retirement, Eye Center research had grown from some five researchers to nine when he retired in 2013, as well as amassing a number of adjunct professors and collaborators at the VA’s Center for Visual & Neurocognitive Rehabilitation, Georgia Institute of Technology and Morehouse College. Dr. Edelhauser’s leadership in translational vision research has produced high impact work that has distinguished Emory Eye Center’s research program for more than 25 years. "Dr. Edelhauser is a dear friend, colleague, and mentor to many of us," says Timothy W. Olsen, director of Emory Eye Center. "He had many unique talents. Not only was he a brilliant physiologist, he also understood clinical ophthalmology, especially ophthalmic surgery. His role in the development of irrigating solutions for ophthalmic surgery combined with his landmark work on the corneal endothelium has helped millions of people see better and avoid blindness. His lists of academic accomplishments are too numerous to list. Hank was so well known in clinical ophthalmology that people confused his PhD for an MD. Most importantly, Dr. Edelhauser’s character was impeccable. He was knowledgeable, also wise, yet always humble. His spirit was kind, gentle and approachable. Combined with an eternal optimism and genuine curiosity, these characteristics attracted us to Hank as a friend, colleague and mentor. Hank was very proud of his family: Barbara, Scott, and Jill. He will be dearly missed." "Dr. Edelhauser was the best translational research scientist in ophthalmology. His discoveries helped countless patients regain and retain sight," says Hans E. Grossniklaus, MD, MBA. "He was an irreplaceable colleague and friend. He will be sorely missed." In a fitting tribute to Dr. Edelhauser in 2012, former student Tracy Kangas, MD, PhD, wrote "All I Need to Know I Learned in Hank’s Lab." She remarked that he taught his students many things in addition to science. Among what she gleaned from Dr. Edelhauser’s teachings are: "Be on time, because Hank will be early ... Be honest and direct in all areas of your life… period ... Build bridges, and then look for new bridges to build ...never burn them." Kangas well understood his character sharing, remarking "Hank practiced humility like his dear friend Dr. Tom Aaberg." Dr. Edelhaser won nearly every national award in vision research, including the prestigious Castroviejo and Proctor medals, the highest honors in his field. At the presentation of the Proctor Award, he was cited for "elegant translational research from basic science to clinical applications." In 2010 he presented the Charles D. Kelman Innovators Lecture at ASCRS. Dr. Edelhauser was past president of ARVO and was honored in 2012 by the ARVO Foundation for Eye Research (AFER) for his lifetime of work. Throughout his career he spoke at major conferences on many continents, having been regarded as a consummate expert on innovative vision research, as well as being an accomplished speaker. 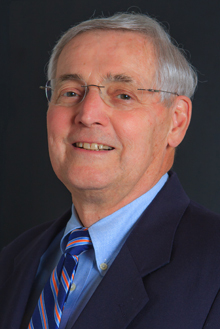 Dr. Edelhauser was recipient of the 2012 "Start-up Company of the Year" award at Emory University for Clearside Biomedical, Inc. and development of the joint microneedle drug delivery technology created with collaborators at Georgia Tech. In 2014, he was honored with a "Bio Deal of the Year Award" for Clearside and its targeted therapeutics for the treatment of sight threatening diseases. By 2014, Clearside had received $8M from investors for the novel injection technique for retinal diseases. He leaves behind wife Barbara, and children Scott Edelhauser (Sabrina) and Jill Harshman (Chris). Our sympathies to these family members and to his extended circle of family, colleagues and friends. Details of a Celebration of Life to be held in January will be announced by the family at a later date. If you are interested in contributing in Dr. Edelhauser’s honor, please direct your gift to either the Henry F. Edelhauser Lecture in Translational Research at Emory Eye Center (here) or contact Kate Myers at 404-778-4121 (kate.myers@emory.edu) or to the Ben Franklin Academy, 1585 Clifton Road, Atlanta (30329). Emory Eye Center has a mission to conduct pioneering research into blinding eye diseases, to educate and train eye professionals, and to provide excellent patient care. The Department includes 33 ophthalmologists, eight optometrists, 11 basic scientists, 11 post-doctoral fellows, and nine researchers in other Emory departments who hold joint appointments in the Emory University School of medicine’s Department of Ophthalmology. Ophthalmology research is supported by current funding of $8.8 million. The Department remains in the top rankings by U.S. News & World Report for the 17 years the magazine has held a ranking for Ophthalmology.